The annual Centre for Advanced Training (CAT) audition will be held on Sunday 12 May 2019 open to all young dancers based in the East Midlands who are aged between 11-17. The CAT audition is a great opportunity for any young person with a passion for dance and is looking for new training opportunities, to come and show their potential in front of a small selection panel. The audition is split into two parts; a creative session and a contemporary technique session. Our audition has been created to be fun and accessible, so regardless of the outcome we hope that all auditionees gain a worthwhile experience. Dance4’s CAT programme is designed to nurture and develop the dance artists of tomorrow. Successful applicants can expect to work with a broad range of contemporary dance artists and specialists. As well as having the chance to train in a dance-focused environment with access to incredible bespoke dance facilities with other like-minded young people, CAT students also receive world-class training opportunities. Many of our students go onto train at conservatoires such as London Contemporary Dance School, Trinity Laban and Northern School of Contemporary Dance as well as dance schools such as Bird, LIPA, Urdang, London Studio Centre and a broad range of universities. Our Dance4 CAT graduates have gone on to do some great things. Find out more about our alumni here. 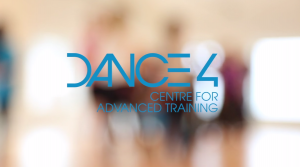 The Dance4 CAT programme is part of the National Centre for Advanced Training which is funded by the Department of Education(DFE). Grants are available to train, click here to find out if you would be eligible for a grant. CAT students can also apply for a travel bursary to help with additional costs. Interested? A lot of previous dance experience isn’t necessary. Instead we’re looking for enthusiastic ambitious and determined young people who show potential. Entry onto the CAT programme is via audition only and those selected at this year’s audition will start training from September 2019. The audition is FREE but an application form must be completed and submitted to reserve a place. Click here to fill out an online application form. The deadline for audition applications is Thursday 9 May, 12 Noon. Please note those who hand in applications late might not be given a place at the audition. For more information, please don’t hesitate to contact the CAT team at cat@dance4.co.uk or phone the Dance4 office on 0115 924 2016.